The Hong Kong-based smartphone brand Infinix launched its latest smartphone Hot S3X in India today. The key features of the smartphone include a 6.2-inch display with a notch, glass back, 12MP+2MP dual rear camera setup and 16MP AI camera at the front. The Infinix Hot S3X is the successor to Hot S3 that was launched earlier this year. The Hot S3X now comes with several improvements in terms of camera, display and more. The Infinix Hot S3X is priced at Rs. 9,999 and it will be available on Flipkart. 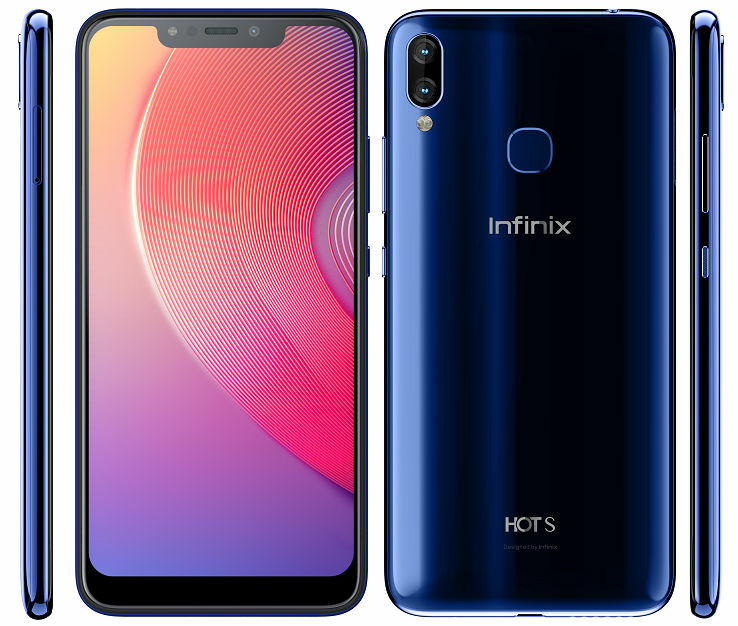 The Infinix Hot S3X sports a 6.2-inch HD+ (720 x 1500 pixels) 2.5D curved glass notch display with 18.7:9 aspect ratio. Under the hood, it has an Octa-Core Qualcomm Snapdragon 430 processor with Adreno 505 GPU. It comes with 3GB RAM and 32GB internal storage that is expandable up to 128GB with microSD. In terms of camera, it has dual rear cameras with a 13MP primary camera with Dual LED Flash, f/2.0 aperture and a 2MP secondary camera. It has a 16MP front camera with Soft-LED flash, f/2.0 aperture and features like AI Bokeh, AI Beauty, and WideSelfie. The Dual SIM phone has triple slots for SIM cards and microSD. Other connectivity options include 4G VoLTE, Wi-Fi 802.11 b/g/n, Bluetooth 4.2, and GPS. It packs a 4000mAh battery. The smartphone runs Android 8.1 Oreo with Hummingbird XOS 3.3 on top. The Infinix Hot S3X is priced at Rs. 9999. It comes in Ice Blue, Sandstone Black, and Tradewinds Gray colors. It will go on sale exclusively via Flipkart during “Big Diwali Sale” starting from November 1.